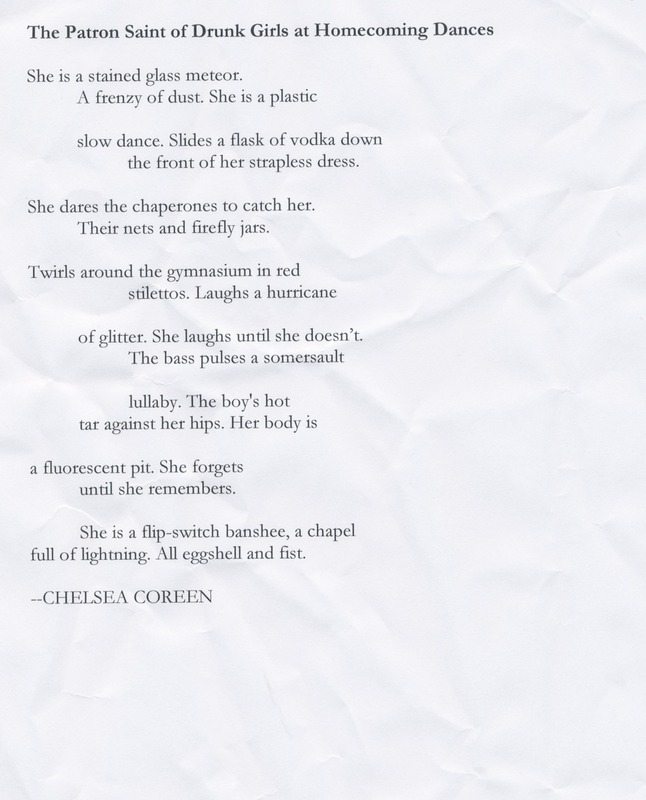 During my weekly spin through the poetry blogosphere I was happy to come across the site of Chelsea Coreen (link below) and in doing so was struck by her poem “The Patron Saint of Drunk Girls at Homecoming Dances” – first, because the title is provocative and then because the work itself is wonderful. Here it is, enjoy! This is amazing. It perfectly captures the rebelliousness of youth.